Will Augmented Analytics Be The Future Of Data Revolution? As data volume is increasing and becoming more complex, the challenge before businesses is to derive actionable findings from a vast set of information. More often, business these days resort to exploring their own biased data, miss the key findings and often arrive at the wrong conclusion by depending on manual insight drawing mechanism. However, augmented analytics, a relatively new development in data science, has emerged as a potential solution for this problem, with the answer lying in machine learning automation to augment human intelligence and to create more contextual awareness from business’s entire data and analytics workflow. Augmented Analytic is essentially automating data insights by integrating NLP, machine learning and text minimising into Business Intelligence. Thus by simplifying complicated data, it helps businesses to present clear results and gives access to sophisticated tools, helping them take a day-to-day decision with clear precision. While traditional BI tools used to draw insight manually through exploring and preparing data sets, testing data assets manually, finding patterns and sharing insight, augmented analytics does the similar job with greater speed and accuracy and at a time, a number of data can be analysed leading to reduced data bias. Due to its high rate of accuracy to prepare data, draw insight and finding patterns, augmented analytics is considered to bet the future of business, with it having the potential to disrupt the next wave of business intelligence. According to a study, augmented analytics is set to be the new norm in business and will be the dominant driver of new purchases of business intelligence, analytics, data science, machine learning platforms and of embedded analytics. Hence, there is a great need for analytics leaders across the world to adopt new approaches, it says. Though its adoption is still at a nascent stage, Salesforce Einstein, IBM Watson Analytics and ThoughtSpot are some of the big names who are currently offering augmented analytics tools. Medical industry: The viability of augmented analytics in medical training is highly pertinent as it can provide quality training to medical professionals at a lower cost. Google Glass is one such product which helps a trainee doctor to treat a patient while remotely communicating with the experienced doctor, who could then provide information real-time. For quick decision making: One of the biggest advantage attributed to augmented analytics over business intelligence its ability to process data faster in an efficient way. Top management from various sectors uses augmented analytics to retrieve relevant data for quick decision making. Smart city implementation: A smart city is made of a combination of technologies like IoT, artificial intelligence and smart sensors. Researchers believe that by leveraging augmented analytics on a large scale, it can be incorporated into various aspects within a smart city thus making city management easier by processing high volumes of collected data. 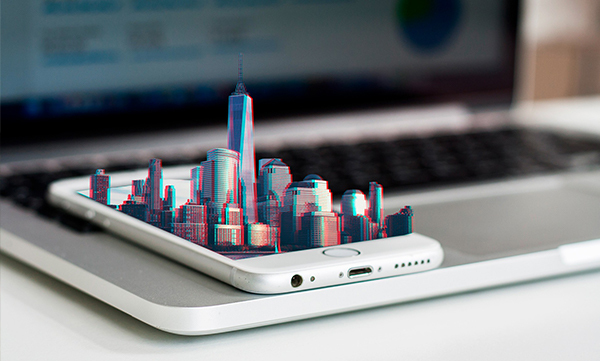 As augmented analytics has the capability to disrupt the way in which organisations will work in the future, there is a great need for enterprises to broaden their scale of working and revamp the existing model to make themselves more relevant so as to incorporate AR into their working. Here we look at some of the possible challenges that could arise in a given situation. Unwillingness to adapt to change: The potential of the technology is so much so that, the change associated with it is also of great scale. Often, there could be reluctance from business leaders to adopt the new mechanism as it is likely that they will stick to the traditional decision-making process. Fear of losing jobs: One of the biggest question raised against automation has been about the fear of losing jobs. With the onset of augmented analytics, the chances for these questions to be raised within the existing workforce is highly likely. Lack of data literacy: This continues to be one of the daunting challenges for workforce today and the situation is no different in here in India. So in order for organisations to efficiently deploy the technology, the need for training the existing workforce in augmented analytics remains critical. With India’s analytics and BI software market growing at a rate of 18.1% since 2017, the chances of augmented analytics adoption at an enterprise-level is largely possible considering the fact that major vendors in the market already have the sound market reach in India. Added to this will be the rate at which business are mulling digital transformation with scores of them shedding their legacy architecture. In addition, India is with its strong ecosystem of AI and IoT and with the conversation adoption of 5G will turn itself into an ideal converging point for enterprises to consider adoption of augmented analytics for offering better service to its customers. Akshaya Asokan works as a Technology Journalist at Analytics India Magazine. She has previously worked with IDG Media and The New Indian Express. When not writing, she can be seen either reading or staring at a flower. Is It Possible For AI-Powered Chatbots To Reach Human Parity?